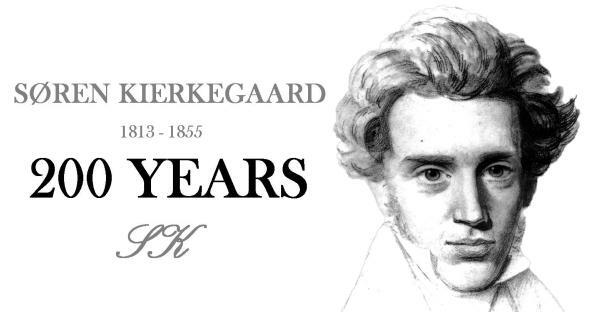 It is not easy to write a short post on the 200th anniversary of such a multifaceted thinker as Søren Kierkegaard. But Kierkegaard himself provides us with a pointer for such a task. In his spiritual autobiography, The Point of View, he notes that his ‘whole authorship pertains to Christianity, to the issue: becoming a Christian’ (23). Yet his perspective on the Christian existence is also not narrow in focus. So how should one proceed from here? At this point, Kierkegaard’s pseudonym Johannes Climacus provides us with further focus when he considers what is decisive about the Christian faith. Towards the end of Concluding Unscientific Postscript (where he elaborates on his work, Philosophical Fragments), Climacus makes it clear that there is no Christian faith without the eternal God entering into time to deliver persons into a relationship with God. The decisively Christian rests wholly upon the real God personally encountering individuals in history and delivering them from their self-enclosed existences into a new life of relationship with God. This new life is constituted by an outward relationship mediated by the one who, precisely by being the eternal truth, constitutes the only way to that truth. So, in Concluding Unscientific Postscript (which Kierkegaard describes as the “turning point” in his entire authorship), Climacus asserts that it is the real person of God, rather than a mere human idea of God, that lies at the heart of the Christian faith. For Kierkegaard himself, this person is the person of Jesus Christ, the God-human. What this means is that Christians are defined by a relationship with the truth “who” cannot become a possession of the immanent human mind; ‘God cannot be an object for man, since God is subject’ (Journals and Papers, 2:1349). Yet while this truth cannot become an object of human thought, it can and does transform human thought. 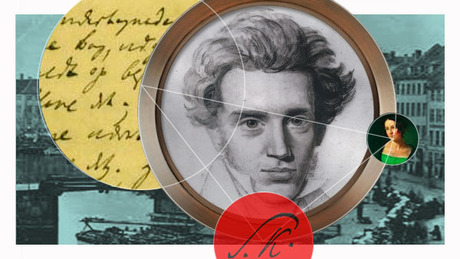 For Kierkegaard, becoming a Christian involves a transformative journey that is grounded in an active relationship with the God who is present with us and encounters us in Jesus Christ. 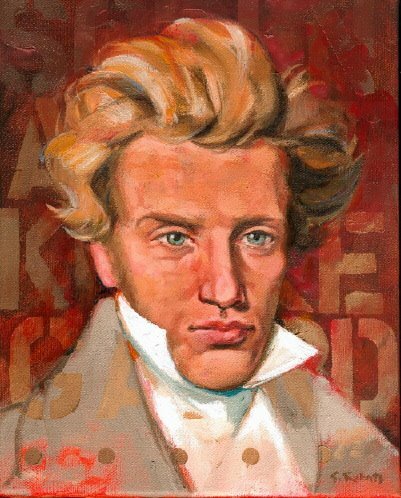 As such, at the basis of Kierkegaard’s Christian vision is not an existentialist view of human becoming, nor an attack on the nominal Christianity of Danish Christendom, rather it is a commitment to the Gospel, to the person of Jesus Christ. Accordingly, as Kierkegaard engaged with the question of becoming a Christian, he was acutely aware that he was without authority in this task. He did not for a moment believe that it was within his power to present the world with the truth of revelation, nor did he believe that he could explain how exactly persons are awakened to the truth of revelation. Why? Because any human idea that he put forward could not communicate the truth of who God is; it could not take the place of the divine subject. Kierkegaard’s words could never mediate the Christian truth and could never explain the mystery of God’s grace. Consequently, his proclamation was completely at the mercy of God who encounters us in Jesus Christ. He could only turn to the High Priest whose incarnation does not simply reveal a unity between the God and humanity but creates this unity. As another of Kierkegaard’s pseudonyms, Anti-Climacus writes, ‘That the human race is supposed to be in kinship with God is ancient paganism; but that an individual human being is God is Christianity, and this particular human being is the God-man.’ (Practice in Christianity, 82). With this view, Kierkegaard challenged the overpowering belief that we are able to talk about God without God, reducing God to the realm of finite human understanding and language – a move that has repeatedly enabled the idea of God to become a plaything to be employed for our own human agendas. Kierkegaard saw this move as one that was enabled by the handholding “Christianity” had taken up with the variety of idealisms, Romanticisms, and post-enlightenment humanisms that exalt the powers of immanent human reason. The problem with Kierkegaard’s emphasis on the outward relationship with God, realised in and through Jesus Christ, is that it entailed an inescapable uncertainty. When the truth is located beyond human subjectivity, in a transcendent other, the Christian cannot look to her own immanent powers of comprehension for security. In fear and trembling, she is required to trust that her faith is not simply a product of her own belief-forming imagination but is actually awakened by the reality of Jesus Christ. Paradoxically, the Christian is called to believe that she cannot truly believe without the one in whom she believes. Although, for Kierkegaard, the Christian faith entails devotion to a reality who cannot be commandeered by the human mind, this did not mean that his theology undermined the importance of human practice. Also, it did not mean that his theology called for a blind fideism. His theology called for Christian realism that did not repose in an inward ability to embrace uncertainty but turns to the reality of God who encounters us in history, the God who actively awakens us, upbuilds us and governs us in our faith. He encouraged Christians to struggle as witnesses to God in the world, with the understanding that God upholds them in their struggles, working behind them and with them. He summoned Christians to lead prayerful lives, lives in which they learned to talk about their struggles with God. He told Christians to strive to follow Christ, to be obedient, with the knowledge that when they fall short, Christ is not only their prototype but also their redeemer. He sought to foster an attitude of earnest repentance, with which Christians continually turn to God for renewal – for example, by coming to encounter God in the eucharist (in the presence of Christ). And he proclaimed these things by continually turning to the witness of Scripture, to the words through which God speaks to the world. Ultimately, for Kierkegaard, it is not primarily our beliefs and practices that make us Christian. Again, if we find that we have become Christian it is because we are conscious of having been encountered by the God-human, Jesus Christ and have been drawn into communion with the one who, inconceivably, has established kinship with us in time. Thanks for a great article that was a little gust of fresh air in a dull mind this afternoon, having known little of Kierkegaard. Thank you Andrew, Jason and Soren. Thanks Andrew (and Jason), for an excellent summary of what, for Kierkegaard, was the principal concern of his authorship. Thanks, Andrew, for that astute and poignant reflection on brother K. An encouraging reminder of who we are–in Christ. Andrew thanks for this it is wonderfully clear light respectful and clarifying..